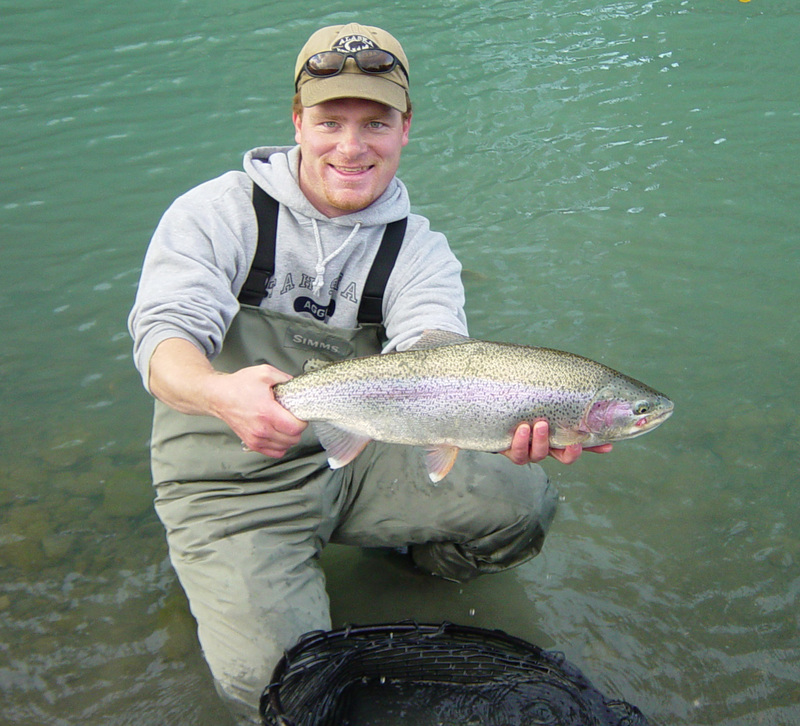 Kenai River Fly Fishing is located on the Kenai Peninsula in the town of Cooper Landing, Alaska; about 100 miles south of Anchorage tucked between two world famous rivers – the Russian River and the Kenai River. We offer guided float fishing trips and we are permitted to guide through the exclusive Chugach National Forest and Kenai National Wildlife Refuge. Check the River Report for the latest catches and happenings on the river, our guides will be posting about everyday, sometimes twice a day so check back often! Be sure to subscribe by email at the bottom of the page if you want the KRFF River Report in your email! Pick your time of the year and call us at 907.595.5733 or email us at info@krff.com to secure your dates. Had a fantastic time fishing the Kenai with TJ recently, What a terrific guide! Got us right onto the fish and worked hard showing us how to fish the river. With his help I was able to out fish my much older brother. Thanks for the memories! Had an awesome time. Mike had us on fish all day and plenty of gear for when I screwed things up. Couldn’t ask for a more knowledgable guide who explained what he was doing the whole time we were out. I learned a lot and enjoyed every minuet. Ill be choosing KRFF for all my fishing trips. Mike had us on fish all day. I brought my wife and 13 year old up to Alaska for the first time and I was worried they would not enjoy it, but Big Mike Made sure that didn’t happen “man my wife did not even want to go back to Anchorage to shop” Couldn’t ask for a guide to do a better job than mike. He is very knowledgeable and patient especially with my son which caught more fish than all of us. We all learned a lot and enjoyed every minuet. Had an awesome time. Great group of guys at Kenai River Fly Fishing. Would highly recommend them for your fishing trip.